When your truck stands still, so does your business. At Volvo Trucks, our priority is to minimize the risk of a breakdown and, should one occur, to get you back on the road as quickly as possible. You know better than anyone that every second of uptime equates to increased revenue, productivity, and opportunities. That’s why you need a transport solutions partner that offers innovative ideas to keep trucks on the road and money in your pocket. Volvo Trucks Uptime Services is a unique suite of products and services designed to give you unprecedented control over fleet operations. Maximize uptime, increase maintenance efficiency, and protect your trucks with protection plans customized to your needs. Nothing can slow your business down when you know the road ahead. With you every minute, every day. Remote Diagnostics can help avoid unexpected downtime with 24/7 monitoring of your Volvo engine, I-Shift, and aftertreatment. Standard in every Volvo-powered truck, Remote Diagnostics offers a range of unique benefits, including enhanced proactive diagnostics, detailed analysis of critical fault codes for repair planning, immediate communication if actions are required, and streamlined service procedures. It’s a powerful service that reduces average diagnostic times by 70% and average repair times by 22%. 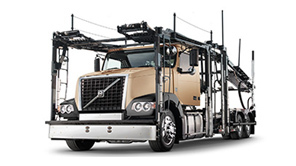 With a dedicated team of professionals available around the clock at Volvo’s world-class Uptime Center in Greensboro, NC, Volvo goes beyond diagnostic technology to deliver actionable solutions to help you quickly get back on the road. Volvo’s new Remote Programming feature means you’ll no longer have to take your vehicle out of service to perform software and parameter updates. 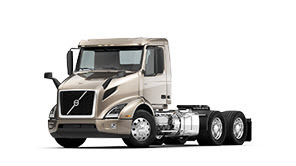 Drivers simply pull over, connect to the Volvo Uptime Center, and the upgrade is done over the air in a matter of minutes. Real people. Real solutions. 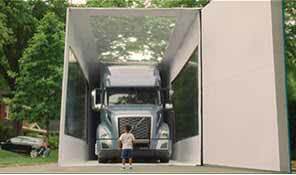 Volvo Action Service offers around-the-clock assistance anywhere in the United States and Canada. 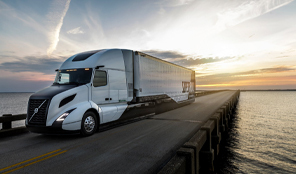 Within minutes, your driver is connected to a highly trained uptime expert who can quickly manage service, schedule repairs, and tackle any other issue that happens on the road. Everything you need, all in one place. ASIST is a simple web-based tool that lets you monitor vehicle status, receive electronic estimates, approve repairs, issue purchase orders, and communicate directly with your dealer—regardless of your truck’s location. No matter where, we’re there to support your business. Our world-class dealer network means your trucks are never far from the quality care and maintenance you expect when you buy a Volvo truck. 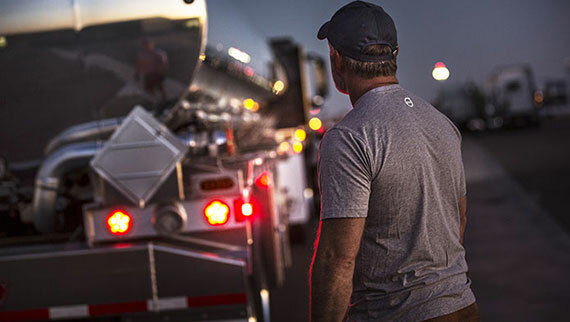 With more than 400 dealers and thousands of service locations across North America, Volvo Trucks Uptime Services help you through every step of a service event, and make sure your trucks stay where they belong—on the road. 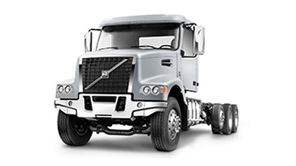 Repairs are done fast and accurately by highly trained Volvo specialists. Our parts-expediting team locates the parts you need quickly—making sure they are there when you need them. Our Certified Uptime Center dealerships can expedite critical repairs. With the truck’s remote diagnostic data already in hand, a technician can immediately diagnose the truck. If the repairs require less than four hours of service time, the truck is fast-tracked, with the goal of having it back on the road within 24 hours. More information, right from the start. Your service advisor will perform a walk-around assessment and access your vehicle’s data. Check-in and initial diagnostics will be completed in under two hours, so you’ll quickly know your truck’s status and can approve a repair plan. Expedited service for short repairs. If the assessment indicates quick diagnostics and repair, your truck goes directly to an Uptime Bay. This ensures that short repairs are performed and completed within hours, not days. Dedicated service for longer repairs. If the assessment reveals that advanced diagnostics are required, your truck will be routed to an Advanced Bay. You’ll be advised of anticipated repair time and costs ASAP. 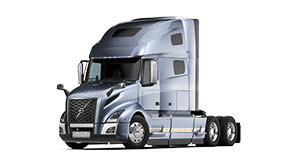 This app is the easiest way to find your nearest Volvo Trucks dealer in North America. Download on the App Store for iOS devices. 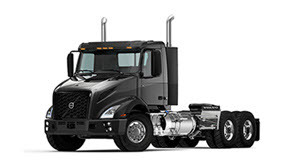 This app is the easiest way to find your nearest Volvo Trucks dealer in North America. Download on Google Play for Android devices.